I made a Slack bot called “Slava” using some code that auto-publishes runs from Strava onto this blog. 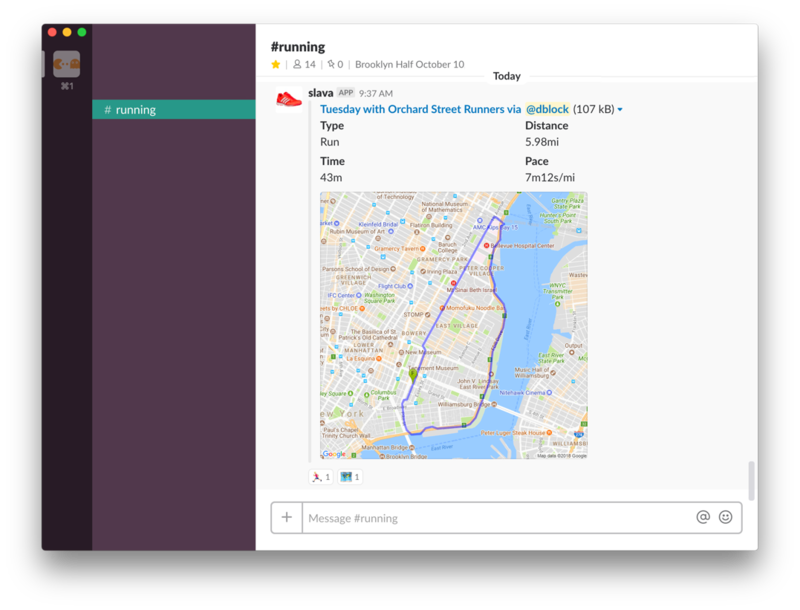 If you use Slack at work, enable Slack integration with Strava and help your colleagues to get motivated! Click here to install it. Slava: a Slack Bot for Strava was published on April 03, 2018 . See a typo?